Tehran, December 1 (MTI) – Prime Minister Viktor Orban on Tuesday attended an Ignac Semmelweis memorial conference at the Tehran University of Medical Sciences where statues of Semmelweis and Persian polymath Avicenna were unveiled. 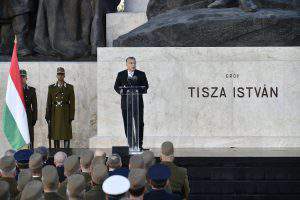 Orban, who is on a two-day official visit in Iran, said Hungary considers it an honour that a satue of Semmelweis was erected in the university’s park. As regards Avicenna, Orban said European medical students had for centuries studied medicine from the polymath’s Canon Of Medicine. The prime minister said that in the European Union, Hungarians are regarded as “either the easternmost western people or the westernmost eastern people”. He said these labels are meant to indicate that Hungarians do not originate from Europe, which Orban said was true. 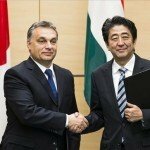 The prime minister said ever since they arrived in Europe, Hungarians have been trying to combine “eastern wisdom” and “western rationality”, which he said has led to a unique Hungarian way of thinking. The prime minister noted that there are currently 1,116 Iranian students studying at Hungarian universities, most of them at the Budapest Semmelweis University. Orban is later scheduled to have talks with President Hassan Rouhani, Supreme Leader Ali Khamenei, and Akbar Hashemi Rafsanjani, head of the Expediency Discernment Council of Iran.